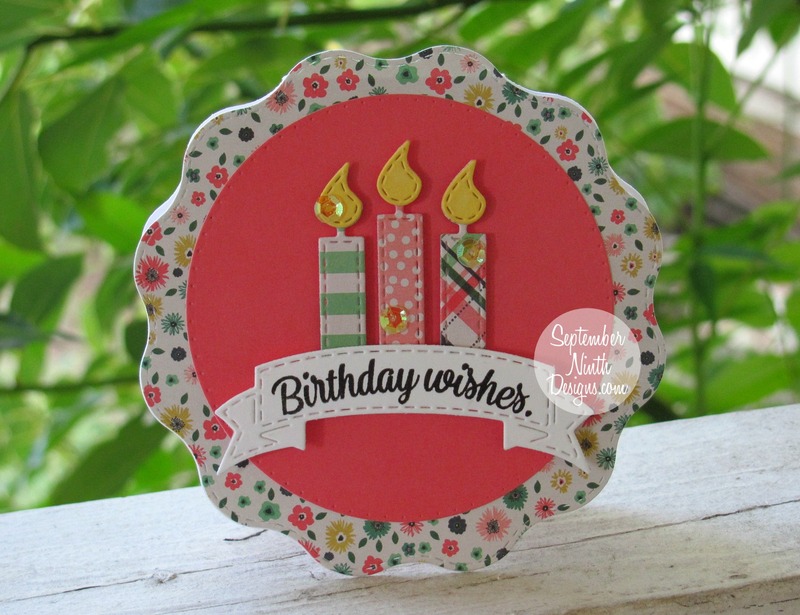 Today is "Birthday Aplooza" day on the MCT blog. I made this card for a friend. These little candle dies from the Time to Celebrate! set are my favorite. The rest of the MCT products I used, are listed below. OMG Miss Ruthie What a Gorgeous Card! “Ove your floral paper and all the beautiful colors you chose!! You sure came up with ever so Brilliant and ingenious ideas using Miss Emma’s fab goodies.....loving all the layers as they so showcase your pretty candles! You so did a Super Outstanding Creative job!! YOU SO ROCK!! Pretty shaped birthday card!! Love the papers! This is absolutely darling! Love the beautiful papers you combined. Lovely! Beautiful job on a wonderful shape card. 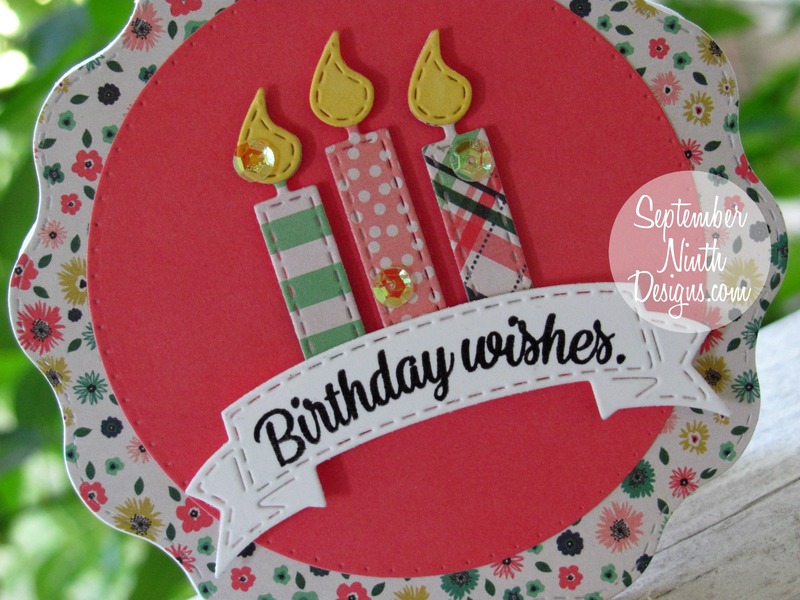 The candles are a great die and you can use up small scraps from favorite papers. I like the design created using many sets.